Evelyn from We were raised by wolves recently put me in touch with Nicola from Tender Loving Skincare. I accepted an offer to review a product from the website. I was sent terre d’Oc nourishing hand cream (30ml £6.95). Apparently Nicola’s Mum enjoys using the cream and she suffers from eczema on her hands. The hand cream contains shea butter, beeswax, marula, pumpkin, baobab and watermelon. 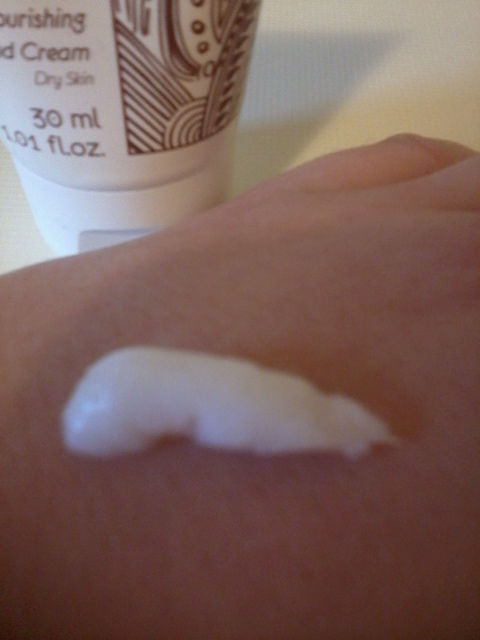 I would describe the consistency as a light balm rather than a cream or lotion. Since it is rich I have been using as an overnight treatment, it is too heavy for me to apply during the day. It has a pleasant fragrance but I note the ingredients list “parfum” with no indication of the source. I have not suffered any irritation but would always advise patch testing if you have sensitivity. Also it does contain alcohol which I am aware some people would rather avoid. 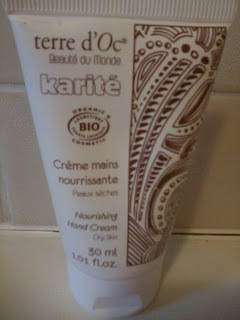 Overall it is a hand cream that I would be incline to use more often during winter. When used overnight my hands feel soft and hydrated with no greasy residue. Nicola also included a couple of samples one of which has got me very excited – Terre d’Oc Teint Naturel (Natural Foundation). I apologise for the bad photograph the packaging is very shiny like tin foil. I have squeezed every last drop out of the foundation sachet and managed to test it over the course of a week. Coverage is light (similar to No7 Mineral Foundation), it applies easily and still looks good at the end of the working day. 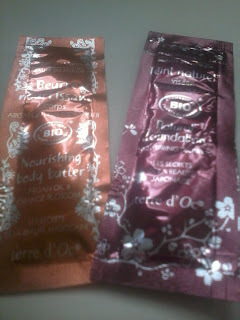 It does have a strong floral fragrance but is not noticeable after a few minutes. I am very happy with the product and this may have solved my dilemma of finding a natural foundation. I have yet to invest in a full size which retails for around £25. The hand cream and foundation have impressed me and I would be interested to try more from the brand. Both products can be purchased from Tender Loving Skincare. If you have some free time I suggest you check out what else the website has to offer. Glad you liked the foundation! I've heard of the site but am yet to purchase anything from them, so will check it out!